"A woman sets out to make life a living hell for her ex-husband's new fiancée." About Isabelle: Isabella Kai Rice is an American child actress, best known for her role of young Alison DiLaurentis in the series Pretty Little Liars and Sarah Compton in True Blood. In 2014, Rice played the role of Sarah Compton, Bill Compton's daughter in the season 7 of the HBO's fantasy horror series True Blood. Later, she appeared in the season 5 and 6 of the ABC Family's teen drama series Pretty Little Liars. She played the role of young Alison DiLaurentis, originally played by Sasha Pieterse. Rice has played the role of young Jerrica Benton in the 2015 musical fantasy film Jem and the Holograms, which was directed by Jon M. Chu. 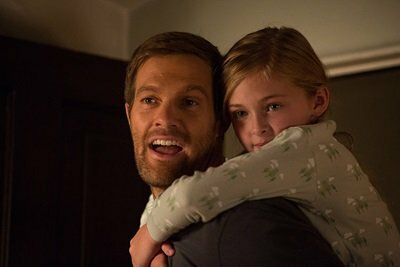 Rice portrayed Lily in the female-centric thriller film Unforgettable (2017), along with Katherine Heigl, Rosario Dawson, and Geoff Stults for Warner Bros.
What did Isabella Kai Rice learn about Santa in the new Lexus Commercial?